Sarosky Heating & Air Conditioning Inc is proud to serve the Northampton community! 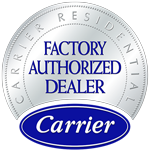 About Northampton, PA - Happy to be your hometown Heating & Air Conditioning Contractor! Northampton is a borough in Northampton County, Pennsylvania. The population is around 15,000, and the borough covers about 2.7 square miles. The borough lies along the banks of the Lehigh River, which attracted its first settlers in 1740. Originally Northampton was made up of the villages of Siegfried, Newport and Stemton, but in 1902 these villages all joined together to form an alliance, and in 1909 the designation was changed to borough in order to facilitate mail delivery. By the beginning of the 20th century, at the time when all these changes were taking place, Northampton was growing to prominence as a worldwide center for cement manufacturing. The Atlas Portland Cement Company, located in Northampton, supplied much of the cement used in constructing the Panama Canal, which was completed in 1914. In 1982 the cement company closed its doors at a time when much of the manufacturing was beginning to disappear from the Lehigh valley area. The Atlas Cement Museum still preserves memories of this important period in Northampton Borough history. 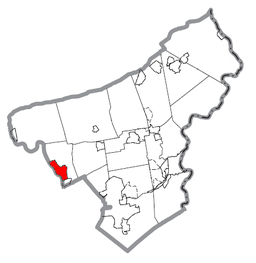 Today Northampton is primarily a bedroom community for larger cities such as Allentown, which is about five miles away. Northampton offers a number of recreational opportunities, including a public library, a rec center and five borough parks. Among these are the Municipal Park, which offers a swimming pool, a band shell, a playground and a number of ball fields and courts, and the Canal Street Park, built along the river where the Lehigh Coal and Navigation Company once operated a canal. Northampton’s climate could be described as moderate, with winter temperatures in the 30s and 40s and summers where the mercury seldom rises above the mid-80s. Snowfall tends to happen in late January and on into February, and averages about 9 to 10 inches at its peak.